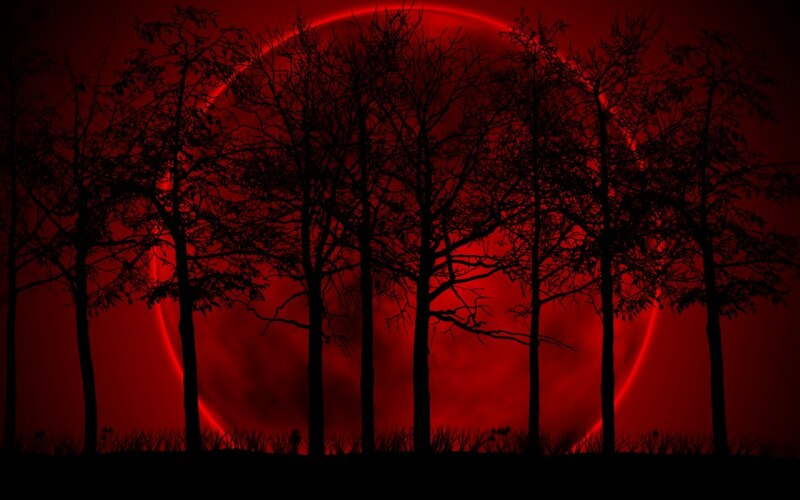 Monday very early morning, on Jan. 21st, at 12:16am EST, the Moon opposes the Sun in almost 1 degrees of Leo — this is a very powerful Full Moon/Lunar Eclipse becoming exact. We started to feel this aspect build from the moment the Moon entered Leo Sunday (Jan. 20th), at 10:54pm EST. Once every six months, the Sun, Moon, and Earth align precisely enough for a Solar or Lunar Eclipse to occur. Eclipses are always powerfully connected to the Moon Nodes and thus to our Soul’s Journey. If you’d like to learn more about this month’s Full Moon, click here to watch my Lunar Eclipse video. This Full Moon is the second of two Eclipses in January and it’s extra-powerful. There are two main reasons for this: firstly, because it’s a SuperMoon — these occur when the Moon is either Full or New while at its closest distance to the Earth — they are therefore more powerful. This often means an increase in emotional reactivity, plus greater awareness around the issues connected to the particular Full Moon energy in question. Secondly, as the last Eclipse in the Leo/Aquarius polarity, it completes an Eclipse cycle that started in Feb. 2017 — this put an emphasis on freedom and individuality, while redefining our approach to improving our future — and paradoxically, also on our need to belong. We are also invited to become more aware of our mind’s activities, of group affiliations out there in the world, and of moving towards a courageous, open, and self-expressed heart — one that knows how to joyfully and playfully connect to the “here and now”. Think back over the last two years, and ask yourself: What has shifted for me, in my attitudes towards the collective (or “humanity”)? How about like-minded people or political/group affiliations? Was there likewise a shift in my desire for more joy? For authentic self-expression? Heartfelt actions? If I think back to the last Solar Eclipse in Leo (August 11th, 2018), what brought the possibility for more joy into my life since then? Have I been able to get more in touch with my inner child? ALREADY A MEMBER? Log into your Member’s account and keep reading! A final note about Eclipses: they’re consciousness upgrades. For 7 – 10 days before and after one, we are usually in uncharted territory — anything is possible and it’s wise to expect the unexpected. Anything brand-new started during this time will likely not pan out the way we thought it would, often because important information comes to light only after Eclipse season is over. For that reason, try to defer any major brand-new projects until after Jan. 30th, when this particular Eclipse season ends. That said, if something is beginning or ending in a way that seems organic, allow it to “be”… Just be wary of the urge to push something forward merely to relieve anxiety or impatience. Sonja’s passion is for connecting with people and helping them transform their lives. This led her to train as a life coach, in addition to her lifelong study of Astrology. With her Readings, her coaching and her Soul-Based Astrology Courses she aims to empower and support people in fulfilling their life’s potential and aligning with Soul Purpose. Not a Member yet? Get your Full Moon videos every month — as well as other awesome and exclusive content — become a site member (still for the price of a cappuccino!) You can also watch a 13-minute excerpt from this video, right here! To book a reading, click here — all readings are done via skype, FaceTime, zoom or phone. Is the outside world in alignment with what you are experiencing internally right now? Where have your passions tipped into obsessions? Where are you coming from survival, rather than love and joy? What might be possible if you dared to speak from, for, and with love? Do you have an Ascendant (or personal planets) in 13-24 degrees of Leo, Aquarius, Taurus or Scorpio? If you want to know how these planetary movements are going to impact you personally, SIGN UP to join the webinar LIVE, or register to receive an mp4/video presentation within 24 hours of the live event. Other than booking a reading with me, this is the maximum level of support I offer — and it’s now $37 for the 90+ minute webinar. TO JOIN FOR FREE, become a Star or SuperStar Member. * This New Moon is also a SuperMoon, and the first of three Eclipses within the next four weeks! * Best and most potent time to set your Solar Eclipse Intentions for the next 6 months! What doesn’t nurture you anymore? Is where you’re rooted helping you thrive? What if the whole Universe was intelligent, including every cell in your body? Do you have an Ascendant, Career Point (or personal planets) in 15-26 degrees of Cancer, Capricorn, Libra or Aries? **To purchase the whole 90+ min. Forum/webinar, click here — only available until July 20th! If you want to know how these powerful Lunations are going to impact you personally, SIGN UP to join the webinar LIVE, or register to receive an mp4/video presentation within 24 hours of the live event. To book a reading with me, click here All readings are done via skype, FaceTime, zoom or phone. To purchase the whole 90+ min. Forum/webinar, click here — only available until July 20th! Already a Star or SuperStar Member on Sonja’s site? Please check your email. The link to this event was sent out on June 28th. What will shift in regards to our healing journey? Our Soul’s Journey? Where do 2.5º of Aries show up in your own birth chart? Where does 20.5º of Cancer land in your Birth chart? What Houses in your chart are most activated by these planetary shifts? Do you have an Ascendant (or personal planets) in 0-4 degrees, or 15-26 degrees of Aries, Libra, Cancer or Capricorn? Other than booking a reading with Sonja, this is the maximum level of support she offers — and it’s now $37 for the 90+ minute webinar. To book a reading with Sonja, click here. All readings are done via skype, FaceTime, zoom or phone. To purchase the whole 90+ minute webinar, click here. Only available until Feb.25th, 2018! All readings are done via skype, FaceTime, zoom or phone. If you were too much in your head, what would tip you off to that? What might open up if you expressed yourself with your heart as your center? Do you have an Ascendant, Career point or any personal planets in 6-17 degrees of Leo, Aquarius, Taurus or Scorpio? Sonja’s next MONTHLY FORECASTING FORUM — which is a 90+ minute webinar — will be on Saturday, Feb 3rd, 2018 at 11am PST/2pm EST/7pm GMT (London-time). We will take a look at the upcoming Eclipses! Are you more connected to what nurtures you — or to your “shoulds”? Does your current environment support your inner growth? What happens when you don’t allow yourself to feel your feelings? Do you have an Ascendant (or any personal planets) in 9-14 degrees of Cancer, Capricorn, Aries or Libra? Sonja’s next MONTHLY FORECASTING FORUM — which is a 90-minute webinar — will be on Wednesday, Jan 3rd, 2018 at 1pm PST/4pm EST/9pm GMT (London-time). We will take a look at what’s ahead in 2018. What does emotional maturity mean to you? What percentage of your day or week goes towards nurturing yourself and your Soul? Do you have an Ascendant, Career point or any personal planets in 1-5 degrees of Cancer, Aries, Libra or Capricorn? To apply my forecasts and videos to your own birth chart, watch my recent class on: “How to Read Your Birth Chart”: To get a high res. copy and all the documents connected to the class, please email: info@AstrologerCoach.com and write: “RECORDING” in the subject line. To join my mailing list: email info@AstrologerCoach.com and write: “NEWSLETTER” in the subject line. To book a personal reading go to my Services-page now! All readings are done via skype or phone. 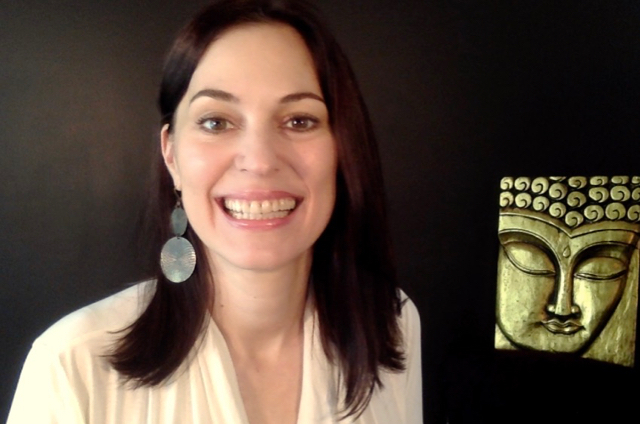 "What I loved about the Monthly Forecasting Forum is Sonja's soulful approach to astrology, keeping it in the positive, learning and growing for our higher good. It's not fear based astrology which I have come to see too much of. Sonja is extremely patient and kind, and a true teacher. I look forward to learning and growing with this beautiful soul." "Thank you for the awesome webinar, Sonja. I really enjoyed the full interactive experience. Having this real time exchange makes a huge difference to the learning and understanding of all these patterns and energies. I love the question and answer section, especially since we get some advance indication of what the topics will be. I have been an amateur astrologer for many years but I learned an awful lot very quickly in this setting. So much fun. See you next time!" Are You Ready for What's Coming? Subscribe to Sonja's Forecasts to receive her timely reporting of the most significant astrological events occurring right now.